Thank you for sharing to us this book, I’m looking out some guide and tips for better building as I actually have a tough time mixture the plasters and paints and I am looking forward to learn more things in this book . There are certainly a lot of things to consider when constructing a building structure. Here in Australia, there are guidelines that you should follow in order to pass Nabers accreditation. Great post! 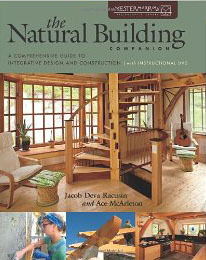 Been reading a lot about building a sustainable home. Thanks for the info here!